I caught Sunday’s San Francisco Giants game against the Oakland Athletics. The weather cooperated, but the As did not. They beat the Giants 6-2. My seat was just to the right of the Giants dugout, deep in Larry Baer territory. So while I’m pleased with the photos I took, I’d be a fool if I didn’t give proper props to location, location, location. 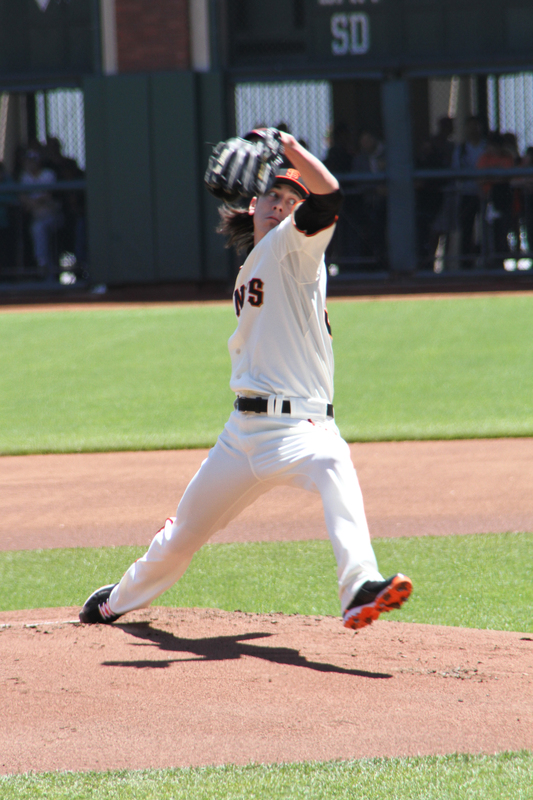 Sunday was my first time being in such close proximity to Tim Lincecum on the mound. It was the perfect vantage point from which to watch him get creamed by Collin Cowgill. Ouch. That, and scoring a Brian Wilson gnome! I arrived one hour before AT&T Park’s gates opened, and waited patiently in line for one. No small children were injured in the capture and taming of my gnome. And what a cute gnome.